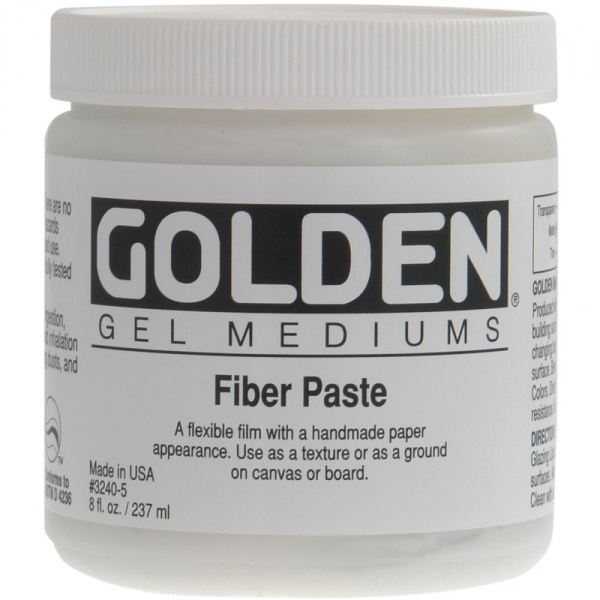 This medium offers a dry film that has the appearance of rough handmade paper. Skimming the product with a wet palette knife can make a smoother surface. When dry, it has an off-white color and is very absorbent, making it ideal for use with acrylic and watercolor washes or inks. It has a thick, somewhat sticky feel in the wet state.